Pest and disease prevention is a major topic for many gardeners and for good reason. We spend countless hours in planning, planting, tending and harvesting our gardens only to sometimes have a disease or insect bring much of our efforts crashing down. What many gardeners don’t know or fully realize is the powerful benefits of a systematic, thoughtful and determined effort in cleaning up the garden, tools and debris that remains after the season ends. Properly done, this can significantly reduce the occurrence and damage done by pests and diseases, increasing the enjoyment and production of the garden. Let’s take a top to bottom look at things that you can do in the very late fall and early winter after the garden is dormant to give your garden a much better head start next season. The biggest reasons for cleaning up the garden, removing dead materials and weeds and thoroughly cleaning and treating your gardening tools is to remove the food and shelter that is the foundation of pest and disease prevention. 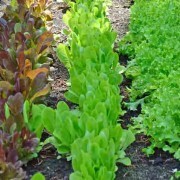 The first steps are sanitation in the colder season, and then preventing their introduction into the garden next growing season. Pests and diseases don’t just magically show up out of nowhere, though they may seem to! 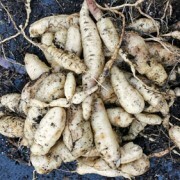 Pests especially need a place to survive the winter and food to keep them alive. Diseases can be a bit more involved to treat, but with some forethought and understanding, it isn’t difficult. Removing dead plants, weeds, and debris from the garden after it is finished growing is essential in preventing pests from having a convenient winter “home” where they wait for the new season’s growth to show up. Potato beetles, squash bugs, squash vine borers and certain species of aphids are very destructive examples of pests that will overwinter in the garden bed if their shelter isn’t removed. The perfect environment is shown in the lead photo. We found this out to our detriment with squash bugs, as we use wood chips for our walkways in the trial garden – the perfect winter housing for them! We now only grow squash and pumpkins in the garden every third or fourth year, using straw bale raised beds outside the garden other years. This starves them of a yearly, reliable food source and keeps their population under control. Another example is the fungus responsible for damping off in young seedlings. The fungus will survive in dead organic matter, often producing spores that can survive over the summer in unwashed and sterilized seedling flats and coming back with a vengeance when new seedlings are planted. Once the housing is removed, next we need to look at the food sources for pest and disease prevention. 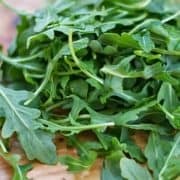 Weeds are not only a nuisance, but they are very important sources of food and housing for both pests and diseases, often with the diseases piggy-backing on the pests to get into the garden. One example is cucumber mosaic virus overwintering in chickweed and groundsel, and then coming in next spring. Others are pigweed that harbor grasshoppers, flea beetles and aphids; annual grasses that aren’t grazed or mowed housing cutworms, armyworms, flea beetles, grubs, several species of aphids and the Colorado potato beetle; Russian thistle (tumbleweeds) is an especially good example as it harbors the sugar beet leafhopper, which in turn is a common host for the curly top virus that decimates many garden crops like tomatoes, beets, green beans, squash, cantaloupes, and spinach. Removing the housing often removes a major food source at the same time, and vice versa, so you don’t often need to do twice the work to be effective in sanitation and prevention. Removal and control of weeds and unmanaged grasses is very important for pest and disease control, not only in the garden but adjacent to it as well. We now have a good handle on taking care of the food and housing for pests and diseases, so what next? 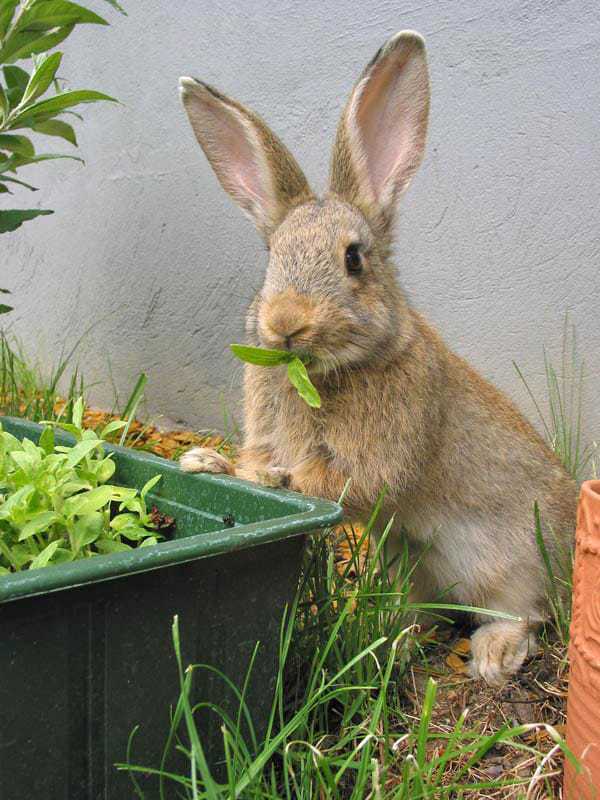 One of the biggest culprits for the introduction of pests and diseases is from them being carried in, either from contaminated plants bought at big box stores or garden centers, from insects that overwinter in firewood, smokers spreading tobacco mosaic virus throughout the garden, or from contaminated tools spreading diseases to other plants and trees. For smokers, the tobacco mosaic virus can easily stick to the fingers or clothing and be spread to plants in the garden. After smoking, wash hands thoroughly with warm soapy water and ideally wear a different shirt or over-shirt than the one smoked in. 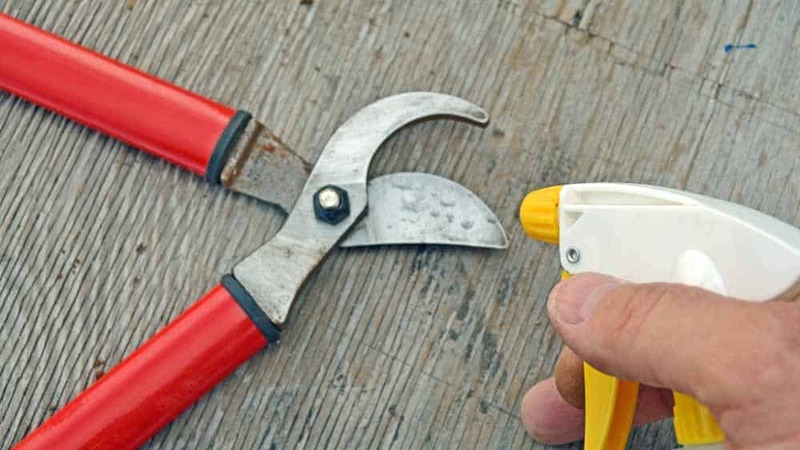 Pruning shears and tools can inadvertently be the cause of a disease spreading, as it picks up and distributes the virus or fungus from one branch and tree or shrub to another. If you are working on cankers or other diseased portions of a tree or shrub, sanitize the tools after each cut to prevent spreading the disease to other parts of the tree with a simple spray or dip of rubbing alcohol or commercially available sanitizing solution. Wiping with antibacterial wipes is also very effective. Do not use bleach or bleach solutions as it will cause accelerated corrosion of metals. If you are fighting an outbreak of disease in your garden it is very prudent to sanitize your tools and gloves after each use in the affected area, especially before using them in other, disease-free parts of the garden. 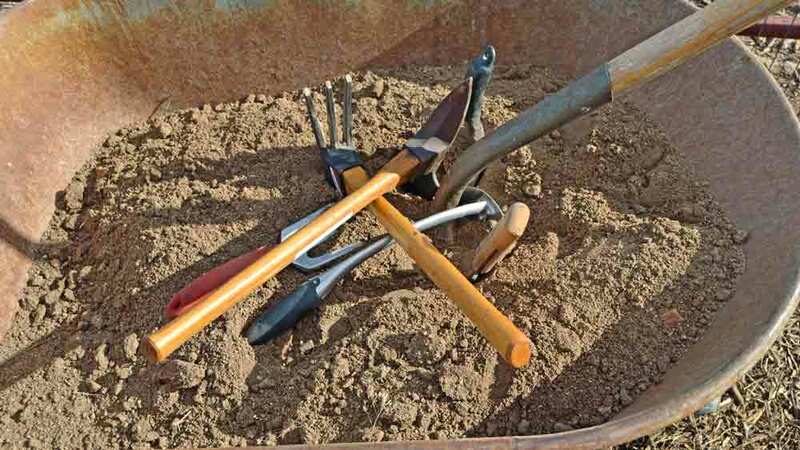 Sanitizing all of your garden tools – hand tools, shears, pruners, rakes, shovels, wheelbarrows (including tires) is always a good practice at the end of the season, especially if you have had an attack of disease during the season or have an ongoing issue. Many plant diseases only need one single pathway into the garden, and we often unknowingly bring it in season after season; working against ourselves. Shovels, rakes and larger tools can be cleaned by scraping away any residual mud or dirt, then plunging them in and out of a bucket of sand to remove rust and small amounts of dirt before spraying with alcohol to sanitize before putting away for the winter. 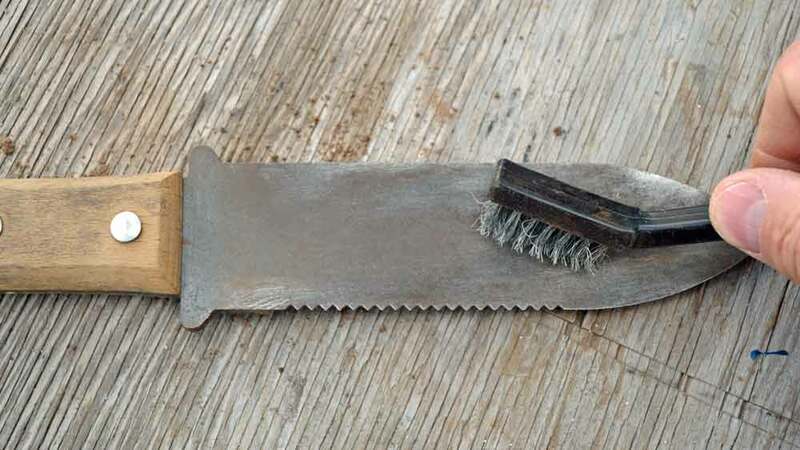 Smaller hand tools like pruners and trowels can be wire brushed to clean and remove rust, then alcohol sprayed as well. The bucket of sand treatment might work with some tools. Wheelbarrows should be cleaned inside and out, dirt removed and wire brushed or sanded before spraying with alcohol or sanitizing solution. Don’t forget the tires and handles! With these proactive techniques, you will find that dealing with pest and disease issues will become much easier as you close the door to easy entry. A side benefit of doing these procedures will show you different ways that pests and diseases gain entry, making it that much easier and effective to stop them early on. In my training at Holistic Management International, the first and foremost principle is to always keep the soil covered, preferably with growing plants, but at least with mulch. Those dead plants are considered to be food to feed the soil life. I know you are familiar with all this. So, how can I remove the old plant matter and still keep the soil covered? Plant cereal rye, perhaps. We planted squash in a place where it hasn’t been grown for many decades, and the bugs found it and flourished. Do you know anyone who has interplanted squash at low density, permaculture fashion, and have they had any success at keeping them down? Thank you. I learn much from you. 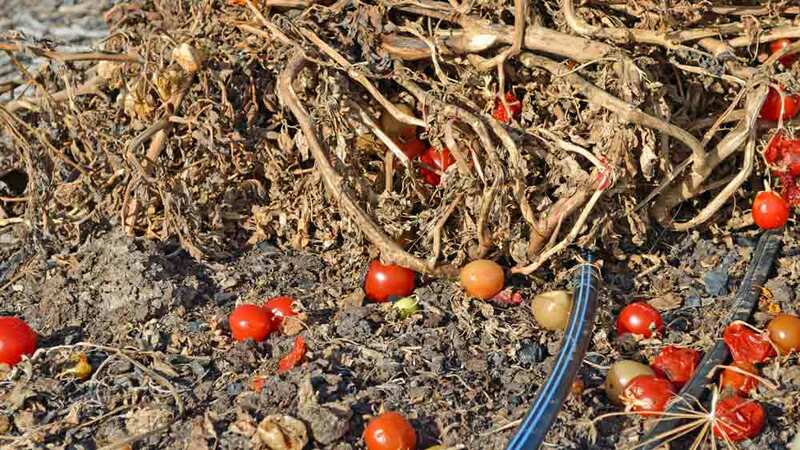 You are correct, the dead plant material can be used as mulch to decompose and feed the soil if there isn’t any diseases or pests in them. If you have had a successful season with little or no issues, then I would say it is ok to leave them. 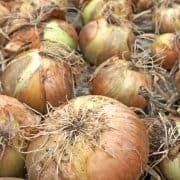 I was working on addressing what to do if you have already had issues with pests or diseases overtaking your plants – then you definitely need to remove them! You are absolutely correct in that a top dressing of mulch, wood chips, aged compost or something to keep the soil from being bare is essential to keeping the nutrients from being lost over the winter. A winter cover crop is also very valuable, such as rye, clover, alfalfa or such like you mentioned. I don’t know of an inter-planting technique that has been successful in keeping the squash bugs at bay. 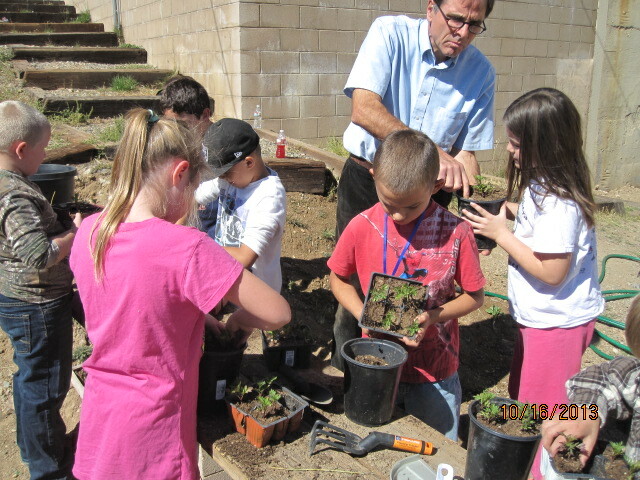 We have raised beds and wood chips for the walkways, which can harbor the squash bugs over the winter. We only grow squash in the garden once every 3 – 4 years and plant in a straw bale planter made of 4 bales and filled 50/50 with aged compost and soil the other years, moving it every year. This is how we’ve been able to deal with the squash bugs successfully. Thanks for the kind words, we appreciate them!